At only about 2,000 light years away, the Southern Ring Nebula is one of the closer planetary nebulae to us here on vantage point Earth. Located in the Southern constellation Vela, this nearly half of a light year diameter nebula is the result of a star that’s nearing the end of its life. This is actually a binary star system and if you look closely, there’s a bright 10th magnitude star with a fainter 16th magnitude star nearby. It’s been estimated that the brighter 10th magnitude star (HD 87892) isn’t hot enough to create this display. Therefore the faint 16th magnitude star, now a white dwarf, is what’s creating this artwork as it expands at about 9 miles 14.5 km) per second across the black canvas of the universe. 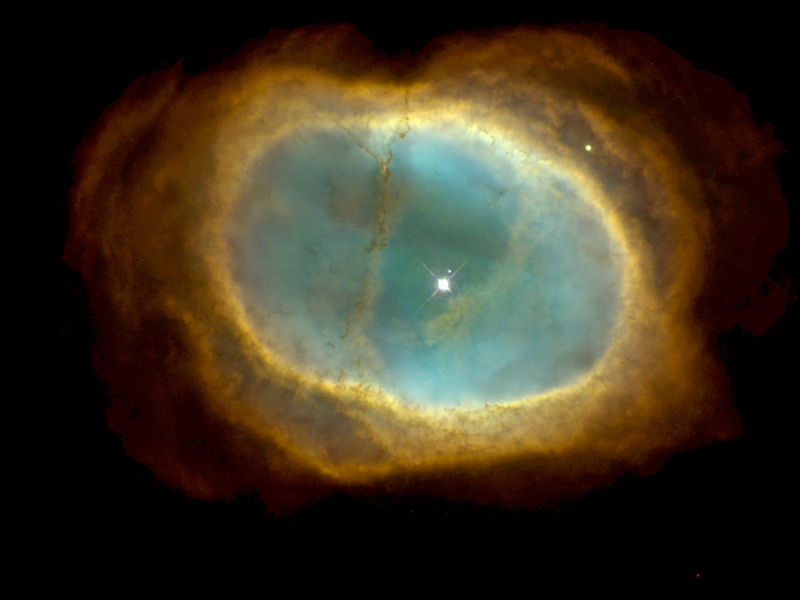 Name: NGC 3132, Caldwell 74, Southern Ring Nebula, Eight-Burst Nebula. What is it? : Planetary nebula consisting of a binary star system. 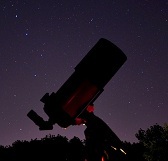 There’s a bright 10th magnitude star (HD 87892) with a fainter 16th magnitude star alongside. The fainter of the two is creating the nebula. How big is it? : Roughly half of a light year in diameter. How far away is it? : Roughly 2000 light years or about 613 parsecs. Apparent magnitude: 9.87 or +9.87. Where is it (exact RA/Dec J2000): RA 10h 07m 01.7640s / Dec −40° 26′ 11.060″. Image | This entry was posted in Astronomical Events, Astronomy (Learning), Astrophotography (DSOs), Images, Nebula (Planetary) and tagged Astronomy, Astrophotography, DanSpace77, Eight Burst Nebula, ESA, Hubble, NASA, NGC 3132, Southern Ring Nebula, Space, Space Telescope. Bookmark the permalink.